Homes by Carlton are an award winning housebuilder and property developer based in the North East of England. Homes by Carlton have many years experience developing a diverse range of exclusive high quality residential properties. Each property is designed and built using traditional and sustainable materials offering a spacious and luxurious finish, to compliment surrounding locations. Cathedral Gates Chilton is situated on the outskirts of County Durham, approx 8 miles from the cathedral city Durham. Middleton St George is a village located just off the A67 between the market towns of Darlington and Yarm. 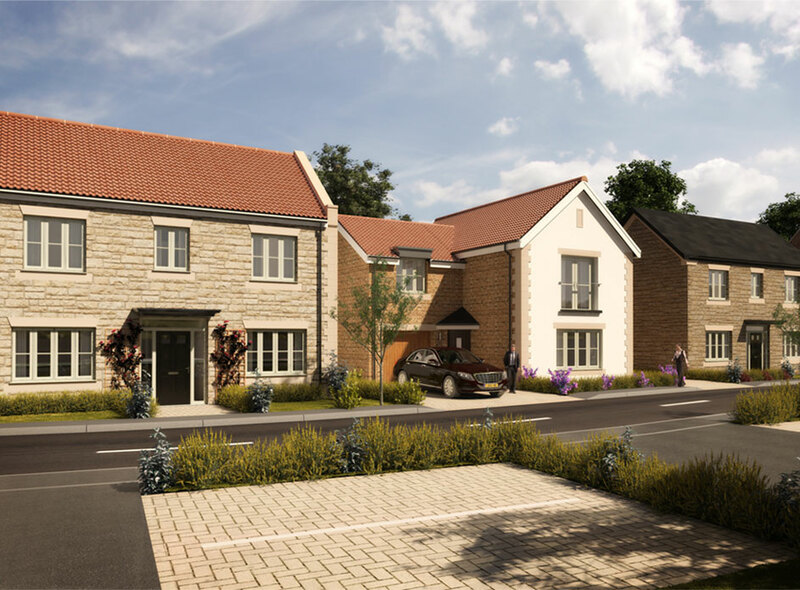 Located in Redmarshall, a desirable village six miles north of the popular market town of Yarm, Manor View is a site for the development of 10 executive homes. The Paddocks, Thorpe Thewles is within a desirable village situated to the west of Stockton-on-Tees and approximately 8 miles north of the popular market town of Yarm. Catch up with our current developments, latest news and Homes by Carlton exciting plans. You can read all about our press coverage and see what the team are talking about, too. Registered in England & Wales at 15 Parsons Court, Welbury Way, Aycliffe Business Park, County Durham, DL5 6ZE. Company number: 06079709.